For some people, their dreams are like a bird that they keep in a cage. They hear them sing, reminding them of the possibilities. They feed them just enough to keep them alive. They admire them, but don’t have the courage to let them loose. They know that they are meant for more, but feel safer and more comfortable when their dreams are restrained. 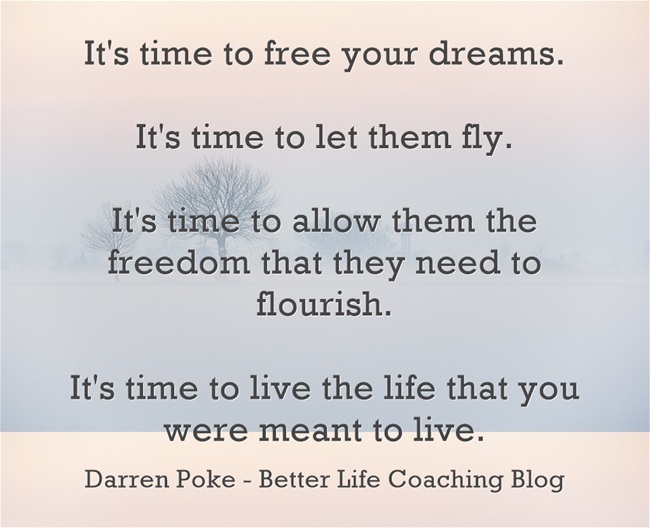 It’s time to free your dreams. It’s time to let them fly. It’s time to allow them the freedom that they need to flourish. It’s time to live the life that you were meant to live. Are your dreams free or stuck in a cage?